Celebrate the holy and graceful Christmas and the coming brand new year 2018! Heartedly appreciate the abundant blessing from Heaven to Earth that make our world a better place, surrounded by the sound of bliss and harmony, the sweetness of joy beyond the confines. Thank you for joining the vegan world. Let the kind heart touch the soul as well as your family and friends. Take one meal of vegan, in return a reunion of the animal family a reality, our earth a more gracious planet. Join us to glorify love! 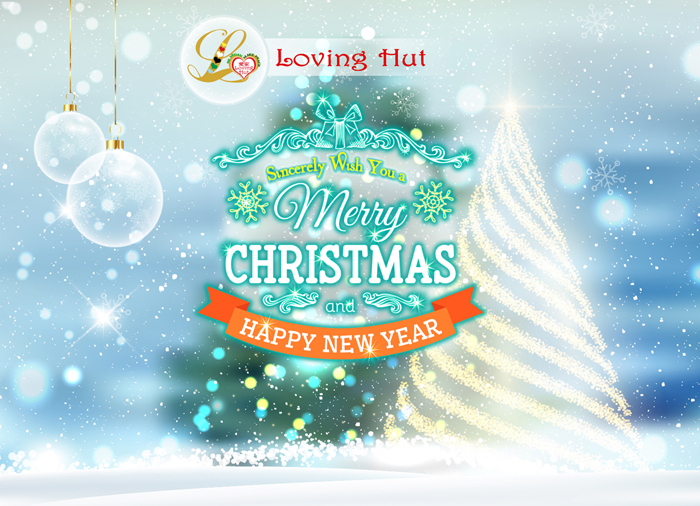 Loving Hut wish you a Merry Christmas and Happy New Year!